OA Plumbing stocks quality plumbing fixtures and fittings products from the leading brands. 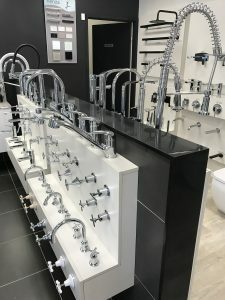 To help with your plumbing fixtures and plumbing fittings selection our team carry a range of display items in their vehicles, with all our projects we can supply or you can choose your own! We service, supply and install most brands of hot water systems including those listed below. Vulcan hot water systems are constructed of quality materials made to last. Their affordable high performance products include gas & electric hot water, a gas boosted solar indirect system and a 4 star gas hot water system. With spare parts readily available, a 5 year Vulcan Warranty and 12 month warranty on parts and labour, let OA Plumbing install a Vulcan system for you today. Rheem has been manufacturing water heaters in Australia since 1939 so its no wonder they are Australia’s trusted and favourite hot water system. Rheem have a range of electric, gas continuous flow & gas storage, solar & heat pump products for the domestic market as well as an extensive range of commercial products. Dux is Australia’s largest locally owned hot water manufacturer. With focus on continuous research & development and an ambition to be “Australia’s cleaner, greener hot water company”, their heat pump hot water systems are the most awarded in the industry. The Dux hot water range include: heat pump, solar electric boosted, solar gas boosted, continuous flow, gas storage and electric storage. Bosch pride themselves on a very high level of customer satisfaction so much so that they offer generous warranties on their domestic hot water heater range. Bosch has a hot water heater to match your requirements with the largest range of gas hot water systems on the market. Looking for 6+ star efficiency? Then look no further than the sophisticated range of Rinnai INFINITY systems. Rinni’s extensive range include: continuous flow hot water systems, solar hot water systems, hot water storage systems and commercial hot water systems. For more information on OA Plumbing’s hot water services click here. The choice of tapware is endless. OA Plumbing can supply high quality water-saving and energy-efficient bathroom and kitchen plumbing fixtures & fittings or you can choose your own; look out for the Water Efficiency Labelling and Standards (WELS) star rating on products to help you choose water efficient products. 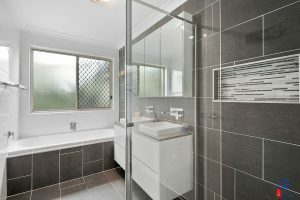 OA Plumbing supply bathroom cabinets, bathroom vanities, shower fixtures & fittings, basins and toilets for your new bathroom or bathroom renovation. If you are looking for custom made or off the shelf bathroom fixtures and fittings the choice is endless. OA Plumbing can supply or you can choose your own. Book an appointment with our team today to get started. As our climate changes Water conservation becomes more vital to our environment; there are many ways of conserving water in your home. For more information on the water saving products we use and recommend visit Water Saving Devices.